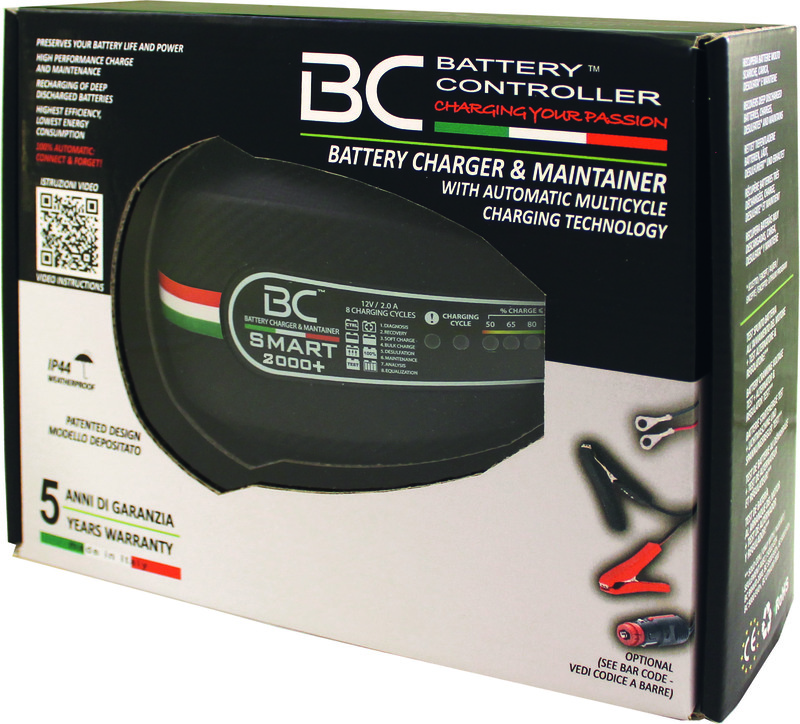 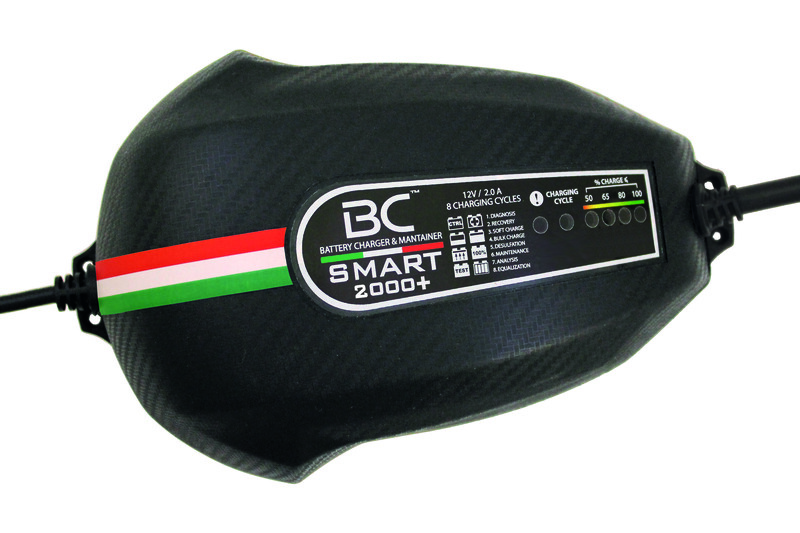 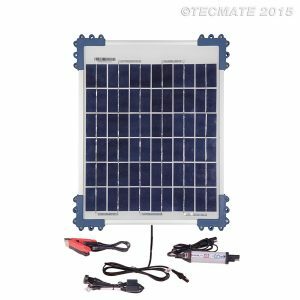 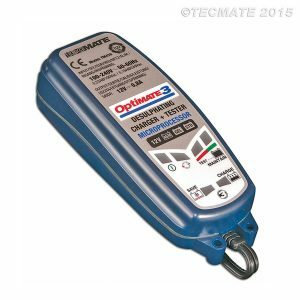 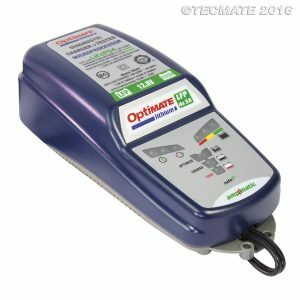 BC SMART 2000+ is a 2 Amp battery charger and maintainer, suitable for both charging 12V motorcycle and scooter batteries and for car battery care up to 100 Ah. 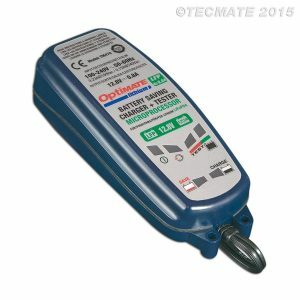 A LED bar shows the battery state of charge. 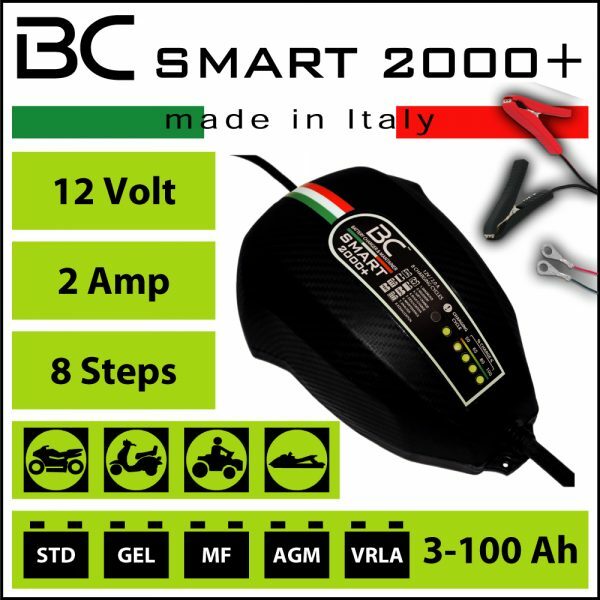 It is provided with an automatic 8-steps charging algorithm and it can remain always connected to the vehicle’s battery, just like all battery chargers in the range BC Battery Controller.